We are a non-profit club made up of a dedicated group of members who care about each other, care about training, playing and competing with our dogs, and care about sharing our expertise by providing fun and safe classes to dog/handler teams who are also interested in the sport of agility. Through hosting trials and teaching classes we are able to maintain the facilities where we train and keep our agility equipment maintained, up to date and safe. We are interested in increasing our membership with additional dedicated members who also wish a safe place to train their dogs and share their enthusiasm for this sport with others. 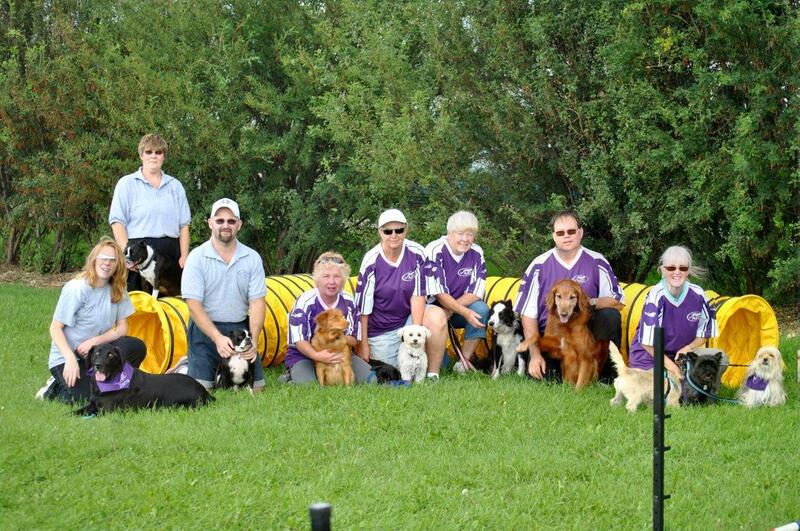 The Saskatchewan Agility Association (SAA) was started in the summer of 1989. In the early years, members hauled home-made equipment from their garage to City Park’s schoolyard to train and provided much of the instruction that helped new members progress with their dogs. Then for several years, the club practiced on a field on the south end of Preston Ave. In 1995 we hosted our first AAC-sanctioned agility trial at WillowRidge Stables. In 1997, the club completed building the outdoor ring at Ebon Stables. In 1998 and 1999, the club purchased a large Atco trailer and new equipment. We hold our signature trial in June. In 2000 an additional sanctioned trial was held indoors in March. This was such a success that it became an annual event. Since then we have moved the March trial to May which is a popular pre-Regional trial and have added an October trial. These trials are held in the Aberdeen Equestrian Center. In 2001 we were represented by a number of club members at the first AAC National Championships at Spruce Meadows in Calgary, Alberta, and many subsequent Nationals. 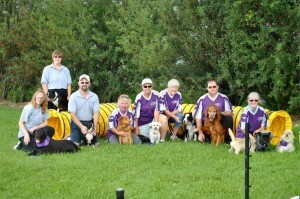 In 2005 the agility community in Saskatchewan and Manitoba (including SAA) joined forces to host the largest AAC Nationals Championships to that date at Gordon Howe Bowl in Saskatoon. In 2006 SAA moved winter instruction and training to an indoor facility at E&J Stables and in 2013 moved to Grasswood Equestrian Centre. Check Out our YouTube Channel for agility videos.